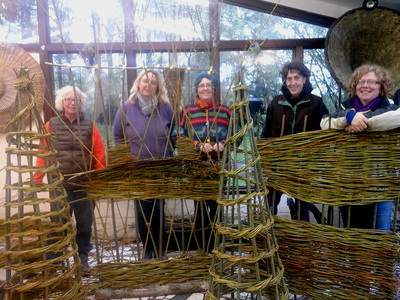 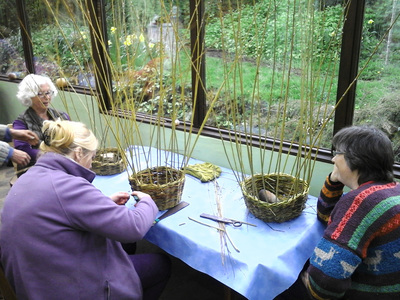 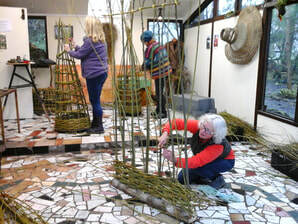 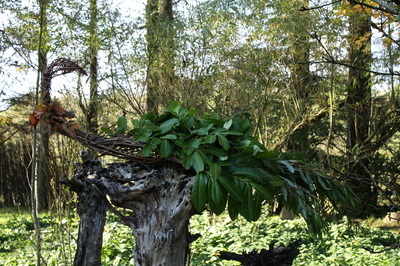 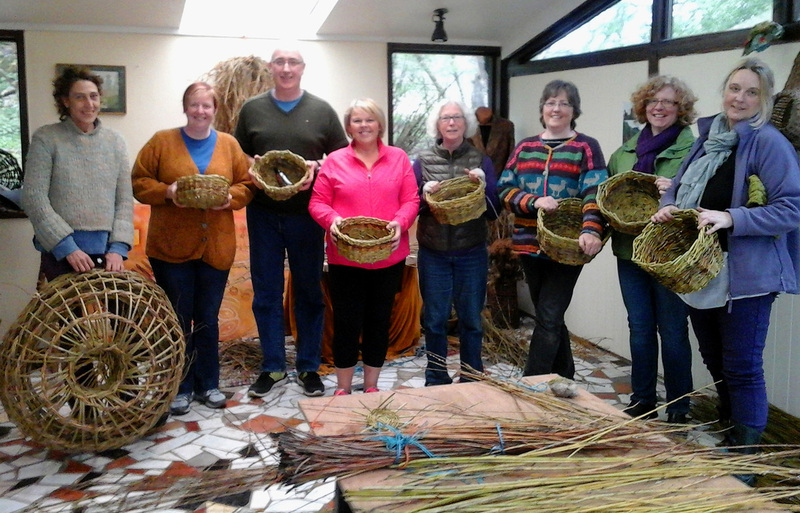 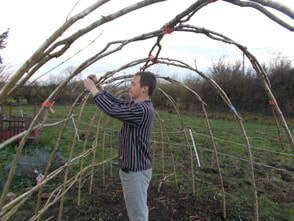 I am a Master basketmaker with a wide range of skills and many years experience offering classes in basketmaking, garden structures and willow sculpture. 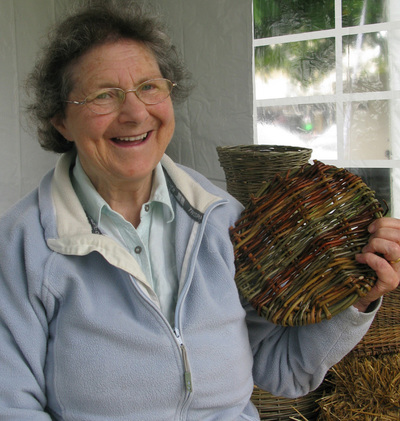 My community arts projects involve people of all ages and abilities through hands-on participation, leading to the creation of artworks for public places and events. The work has educational impact, developing creative awareness and appreciation of local history, folklore, flora and fauna, vernacular materials and traditional craft skills. 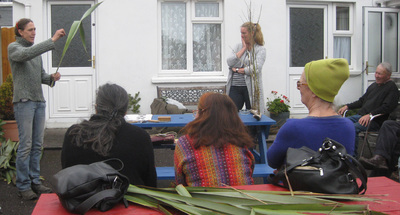 I host ongoing art and basketry courses for adults and children at my Greenmantle residency so please contact me if you are interested in organizing or attending a course or setting up a group project. 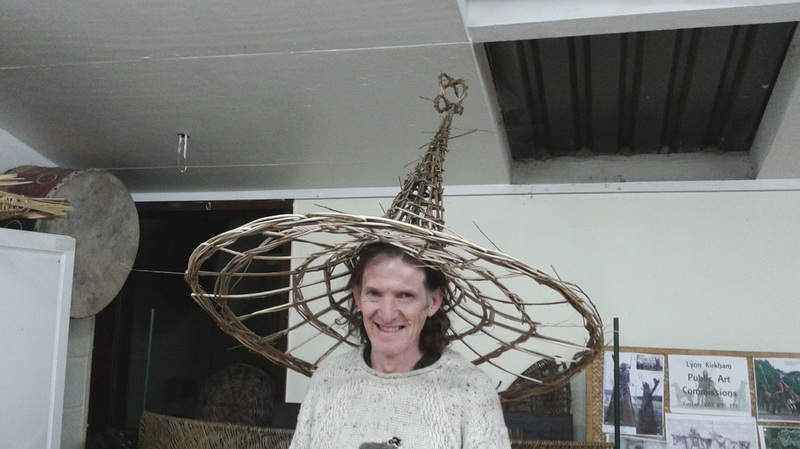 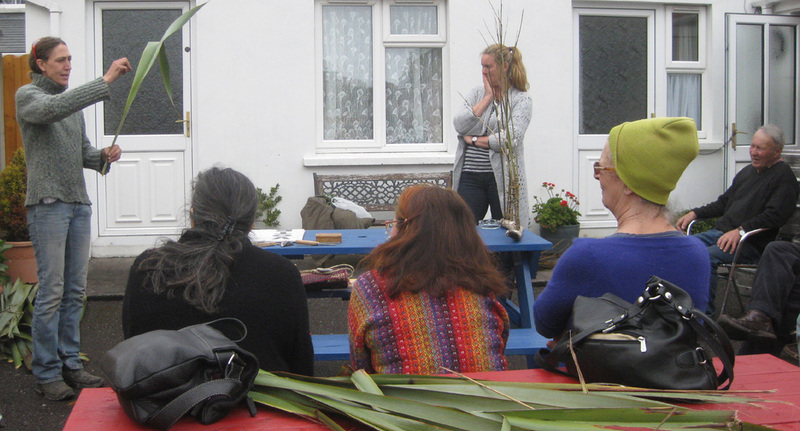 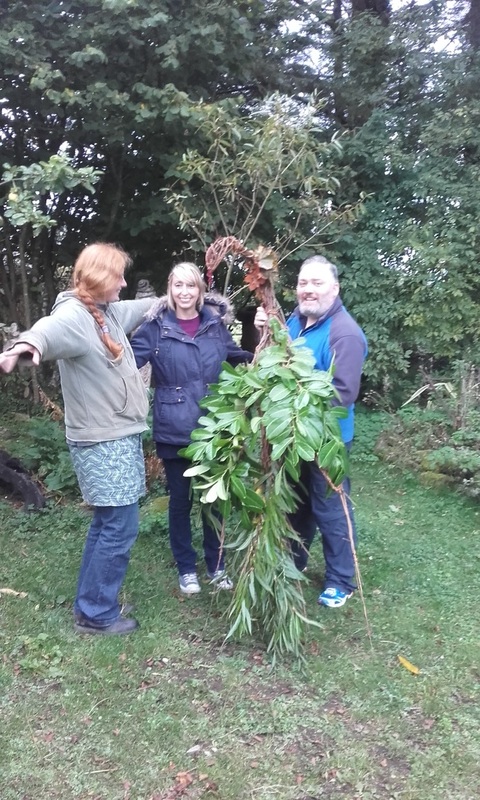 My practical skills include: basketmaking, natural building, bog oak, bronze casting, cement and plaster casting, clay, metalwork, mosaic, papermaking, painting, design, photography, computing, music, gardens and parades.